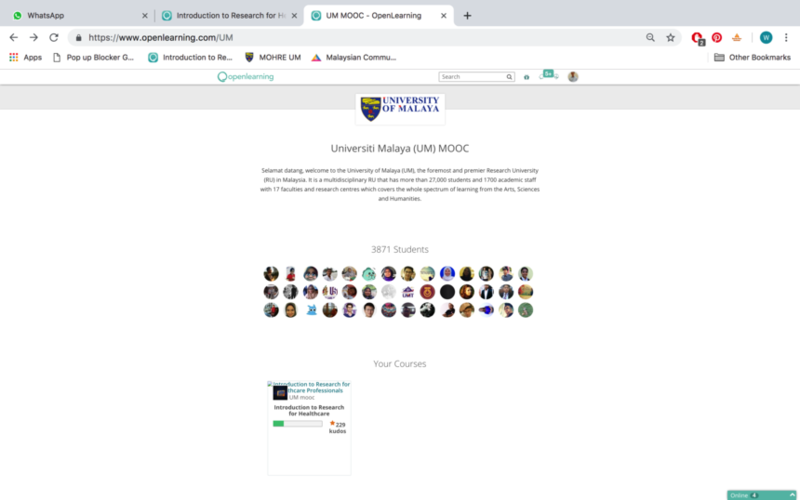 Our course (Introduction to Research for Healthcare Professionals) on the OpenLearning website : https://www.openlearning.com/UM is missing. Enclosed screen shot. How do we upload the photo? Hope you can help. Thank you. Hi Wen Ting, I see that you have already solved this issue. Please let me know if you have any further questions! Alenka Prezelj Hi Alenka, I am afraid the issue has not been solved. 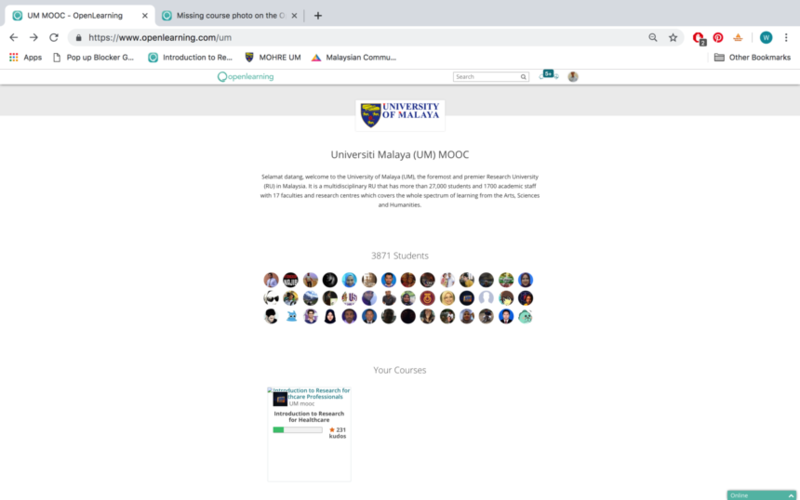 The picture for our course under "Your Courses" still doesn't look right. Please refer to the attached photo.May I know how we can fix this? Hi Lee Yew Kong ! We no longer support V1 institutions. Please reach out to contact@openlearning.com to speak further with our Partnerships Team about upgrading to V2. Thanks!